BestDressedChild.com is pleased to offer a large selection of formal attire for children. We carry all of the hottest styles of dresses and suits to ensure that your kids will be fashionable and comfortable. Whatever the occasion is, you'll find the perfect outfit in our great selection of formal clothing for kids. 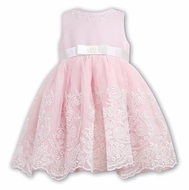 Our girls' special occasion dresses are elegant and age-appropriate. They come in a variety of styles both with and without sleeves so your daughter can be comfortable in any weather. Choose a traditional white flower girl dress to wear to a wedding or a beautiful red velveteen dress for a Christmas party. Our huge selection of formal dresses for girls ensures that your daughter will always have the perfect dress to wear. For little boys, a stylish and versatile suit is always a good choice. 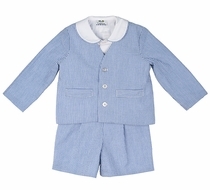 Our boys Eton suits are a popular style for children under 5. Eton suits feature a short jacket that gives the style its trademark look. Suits are appropriate for weddings, formal events and other special occasions. Trust BestDressedChild.com for the best selection of formal attire for children. Our everyday low prices make it affordable to dress your kids in the best fashions for any formal event.